Cracks in the Seams was a performance video work based around a site in Lake Wendouree, Ballarat. Accompanied by photographer, Christina Simons, we directed a cast of 15 dancers towards a performance for the camera that was presented as an exhibition in the Ballarat International Foto Biennale (BIFB). The work was created in collaboration with alumni and current students from the Arts Academy, and partnered by BIFB and Federation University. This is a work of transformation, beauty, fragility and mystery expressed within the silvery waters of Lake Wendouree. These images of trust, endurance, strength and collaboration are testament to the performing arts students and alumni whose ability to work despite the freezing conditions was extraordinary. Verity Wood, Kayla Roberts, Tessa Luminati, Braydon Bowles, Bree Cummins, Catherine O’Callaghan, Mitchell Wigg, Sheridan Herbertson, Olivia Jordon, Roxy Tamlin, April Garreffa, Caitlin Zacharis, Bradley De Vries, Blake Aaron and Kate Tomkins. This work contributes to the current revival of arts practice in the regions, specifically important to Federation University Australia. 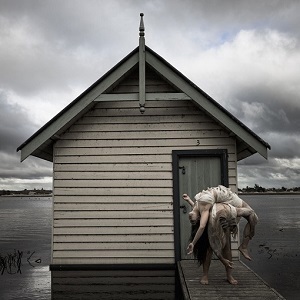 The 12th Ballarat International Foto Biennale was attended by over 27,000 people of diverse ages and cultures. The audiences were international, showing that being regional does not limit artistic communication.